헬싱키 - 헬싱키에 있는 호스텔. 헬싱키의 지도, 헬싱키에 위치한 호스텔 사진 및 후기 정보. 헬싱키에 호스텔, 저렴한 호텔, 아파트, 게스트 하우스, B & B를 찾고 계십니까? 헬싱키의 모든 최고의 가격은 kr.Dorms.com안에 있습니다. 매달 수천명의 여행자들이 이곳에서 예약을 진행하시듯이 고객님도 헬싱키의 저렴한 가격에의 호스텔을 안전하게 예약하실 수 있습니다. 웹사이트에 고객님이 원하시는 핫 트렌디 시내 주변의 호스텔을 쉽게 찾을 수 있으며, 대학가, 기차역, 공항, 모든 헬싱키의 관광명소에서 가까운 호스텔을 찾을 수 있습니다. At The Yard you will be right in the middle of the giggle, on one of the only walking streets in Helsinki that is crammed with restaurants, bars and cafes. It is a maximum 15 minute walk to all main attractions. 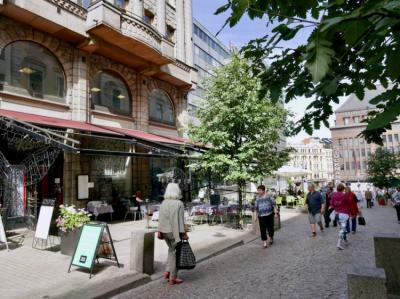 And then, if you want the full-on experience of our city, immerse yourself in the bar culture of Kallio, the chic lifestyle of Punavuori or the parks and nature surrounding the city. 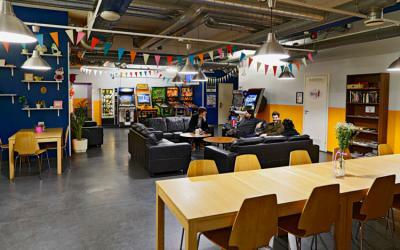 All are within just 15 minutes reach of The Yard – Helsinki's first and only concept hostel. 위치는 Forum 슈퍼마켓과 Taco Bell 앞에서 완벽합니다. 직원들은 친절하고 정중합니다. 나는 밤 동안 거기에 머물렀다. 그러나 매우 좋았다. 모든 것에 감사합니다! 그것은 내가 머물렀던 최고의 숙소 중의 1 개다. Trop cher et peu de repos. Whilst it was fairly outside the main centre, public transport (trams and buses) are readily on hand to get in to the same. Well priced accomdation. Not centrally located however only a short tram/bus ride into the centre.